Don’t want to add more electricity consumption to your bills? No problem. 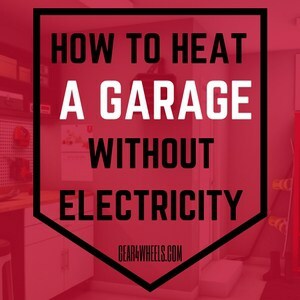 You can warm your garage with a heater that doesn’t need electricity. You can continue working on your projects during winter without the high utility costs. So, let's have a look at the different types of garage heater you could install to get yours warm with NO electric supply needed! Natural gas heaters employ a radiant heating method. It uses a combination of gas and air. A thermostat is attached to the heater. When it detects the temperature is at a certain level it opens the gas valve and lets it enter the heater. The gas enters the furnace through the duct intake. The gas and the cold air meet to produce a flame. Air that enters the heater moves over hot tubes that heat the air. The hot air passes through the heat exchanged and moves through the vent. Once the hot air moved through the vent it enters the garage for heating. Instead of mounting the propane or natural gas heater in your garage, you can make use of a portable heater. Non-electrical versions are available which give you greater flexibility. You can move the heater around your garage for you to warm up certain areas only. Portable heaters are just as effective those that are mounted. This type has a large heating coverage. Portable heaters can be compact making it easier for you to carry them around or in and out of your garage. The size of your garage affects the heater you must get. Look at the heater’s thermal output which is measured in BTU/hr. The higher the BTUs the greater the heating coverage. Portable heaters generally have the same coverage as the type they replicate. 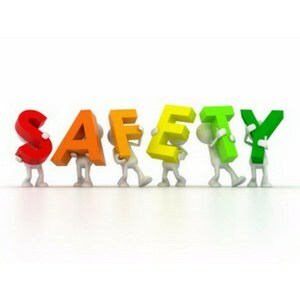 Follow these safety tips with regards to propane and natural gas heaters. Cool-touch body: If you accidentally touch the heater it won't burn you. Choose a heater based on your preferences. Make a final decision based on the pros and cons of each non-electrical type. Non electrical garage heaters are clearly beneficial to have. Whether they’re mounted or portable, they’re effective in heating your garage. You can continuously work in your garage throughout the winter without raising your electrical bill. Install them so you can enjoy comfortable winter months from now on.